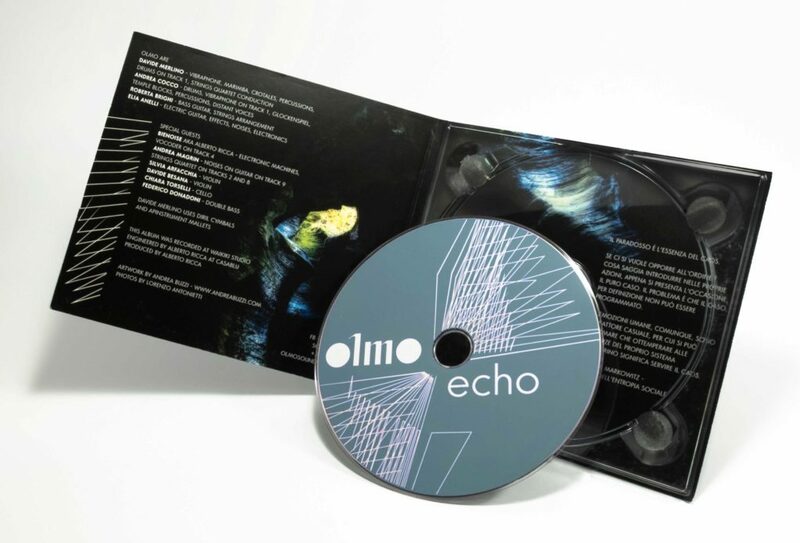 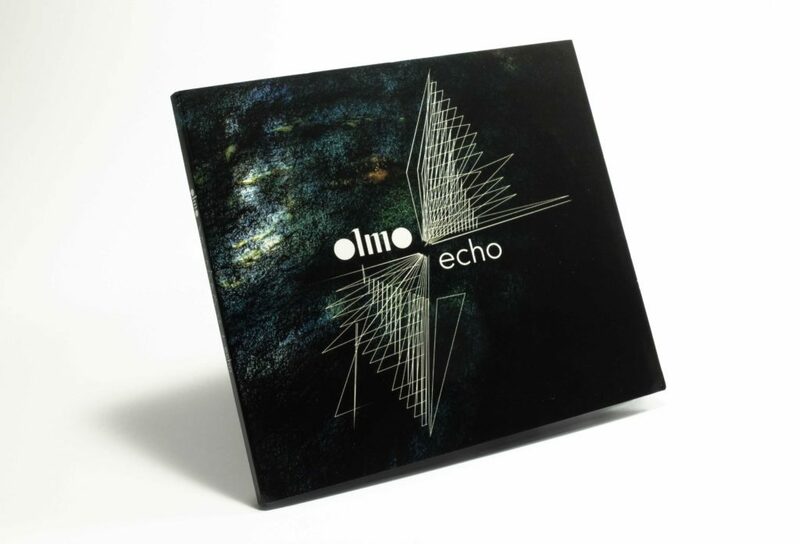 Olmo is a quartet from North-West Italy: their approach and background come from jazz, and their music is a blend of jazz, rock, ambient, noise and electronic elements . 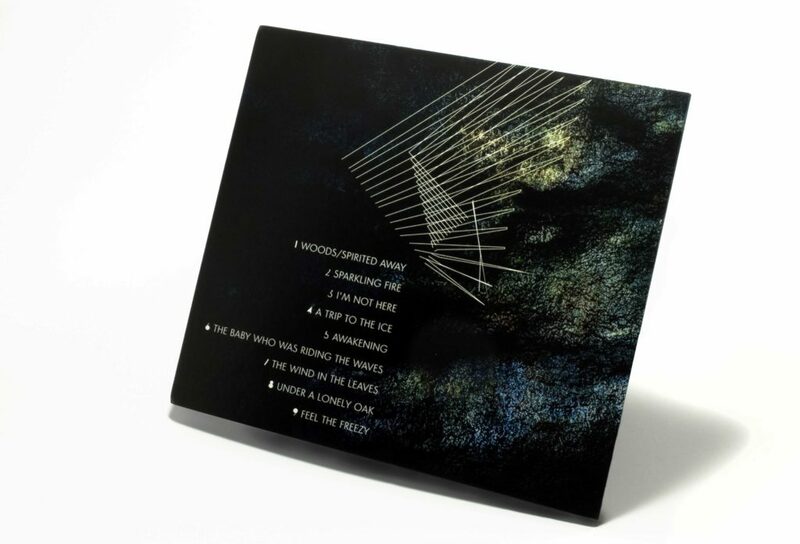 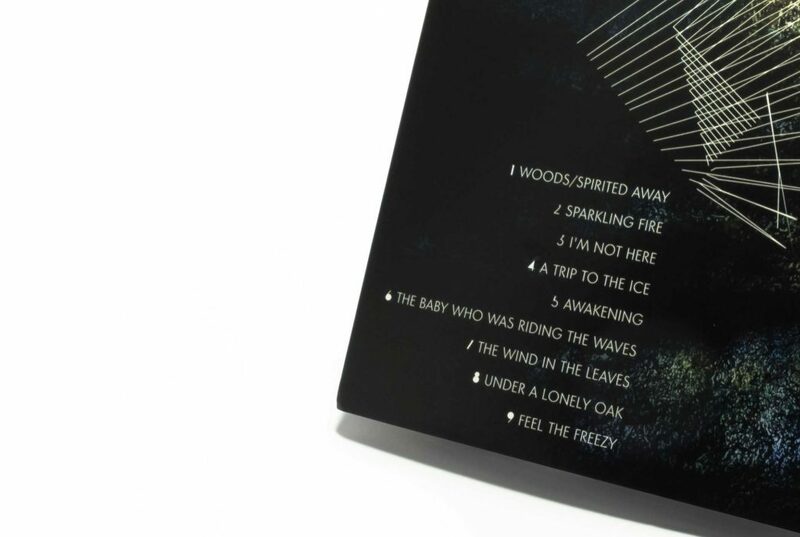 The music for this album is deeply connected with natural elements, where little noises made by wind, rocks or water are the foundation of their freeform and instrumental approach. 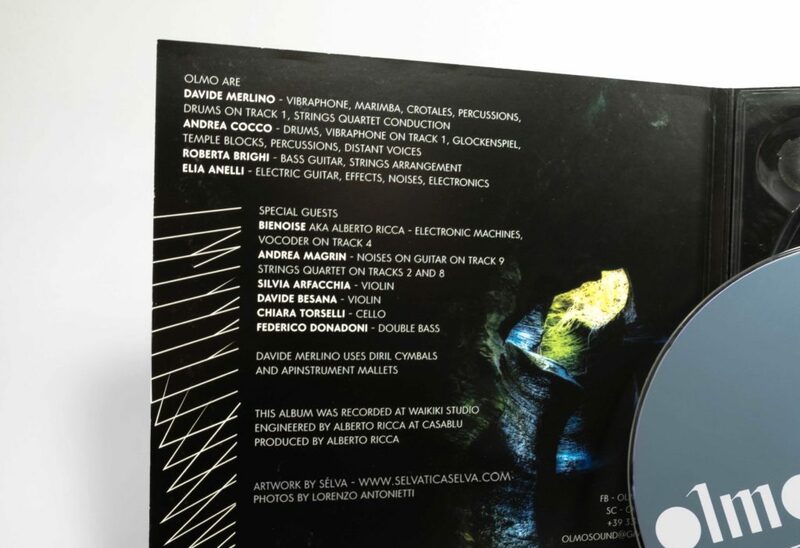 The cave photographs of the artwork are rendered as an abstract texture, working as a background for the texts and the echoed graphic elements.